Spelt is an ancient grain dating back seven thousand years. It is naturally high in soluble dietary fibre, and therefore has stool softening properties. Compared to wheat, spelt is also higher in the B-complex vitamins and both simple and complex carbohydrates. Spelt contains significantly more protein. Due to the nature of this grain, people who are gluten intolerant are able to include spelt-based foods within their diet. You should always consult your health visitor or doctor if you think your baby has gluten intolerance. 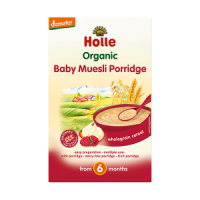 Easy to prepare by using either breast milk, baby formula or just water for a delicious and wholesome porridge for your baby. 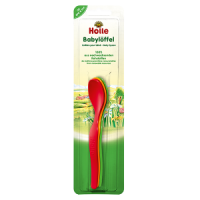 Great if added to your home made vegetable puree for a vegetable-grain based lunch for your baby. Instant. Free from cows milk protein and no added sugar or salt. Suitable for vegetarians and vegans. Wholegrain SPELT flour**, Vitamin B1 (required by law). My baby loves that porridge. Great ingredients! We love holle! I mix it with baby milk as morning porridge, I also add a spoon to each fruit purée I make for the baby. It fills him up and also absorbs liquids which makes purées thicker. Great and nutritious highly recommend. 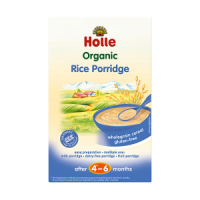 My little one loves it - another great tasting, no nasties, easy to prepare creamy porridge from Holle. 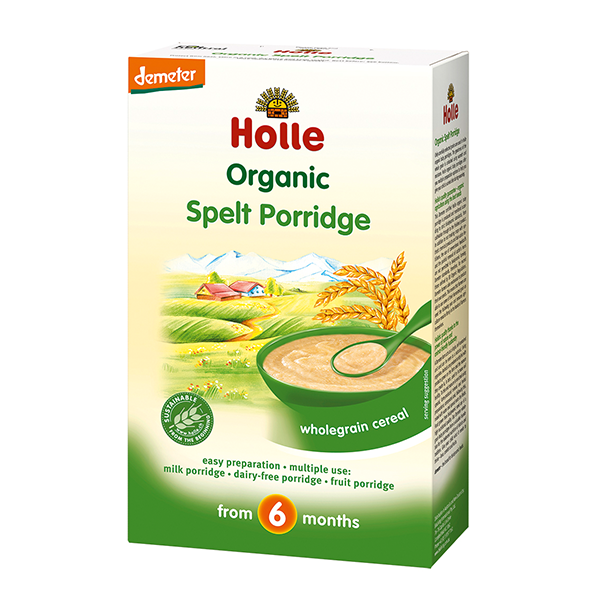 I used this porridge for four my children and found it a must have for weaning to solid foods. It's versatile and organic, you can make it with milk or water add some blended fruits or veges and it's creamy and tasty. Great customer service, speedy delivery and very carefully, well packed products. 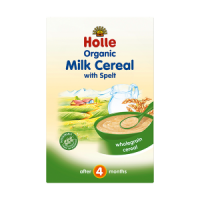 Hello Ulula, I bought holle spelt porridge for my child, my son loves it, I make this porridge since he was 6 months old and he likes it very much. He is one year old now and I still give give him spelt porridge.It is very simple to make and has nice taste. Thank you for great product. Very tasty porridge. My daughter suffers with a poorly tummy and it seems that the porridge helps to improve her digestion. She normally has it with some fruit purée. 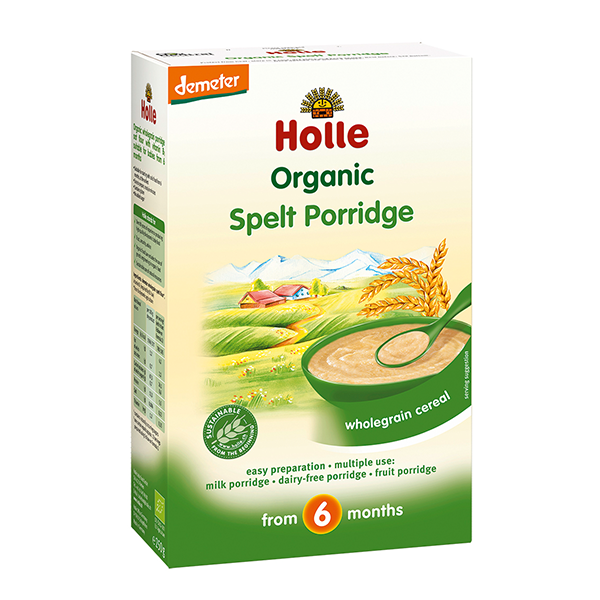 I buy this porridge and alternate with Holle's millet and oats. My son enjoys is very much and it's very important for me to know that his nutritional needs are met. Thank you! 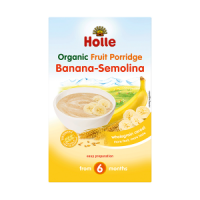 another yummy healthy porridge from Holle!